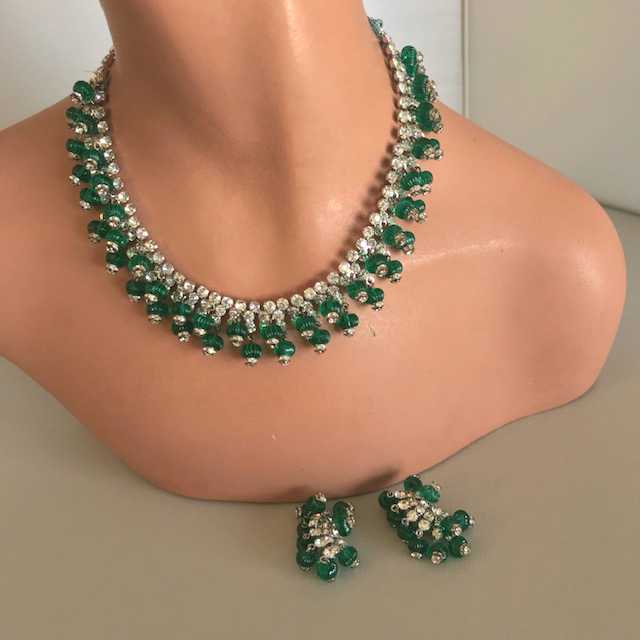 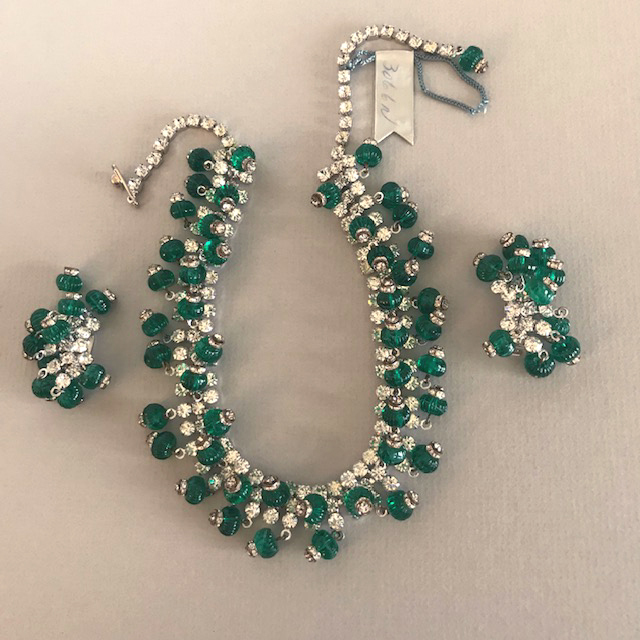 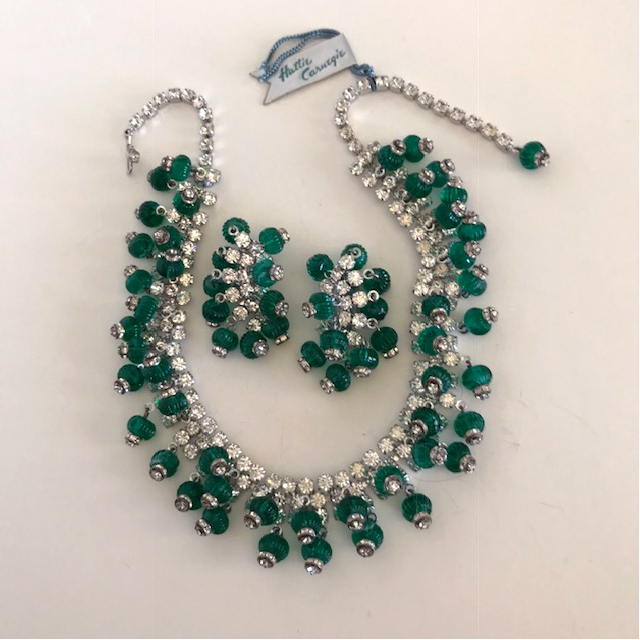 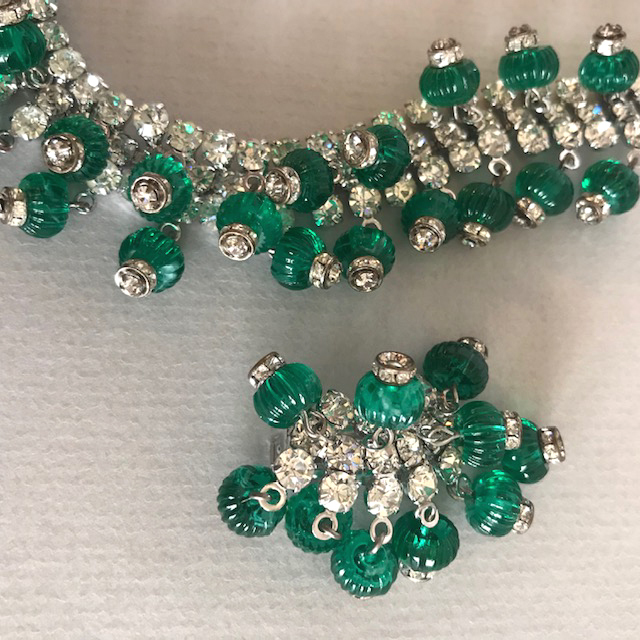 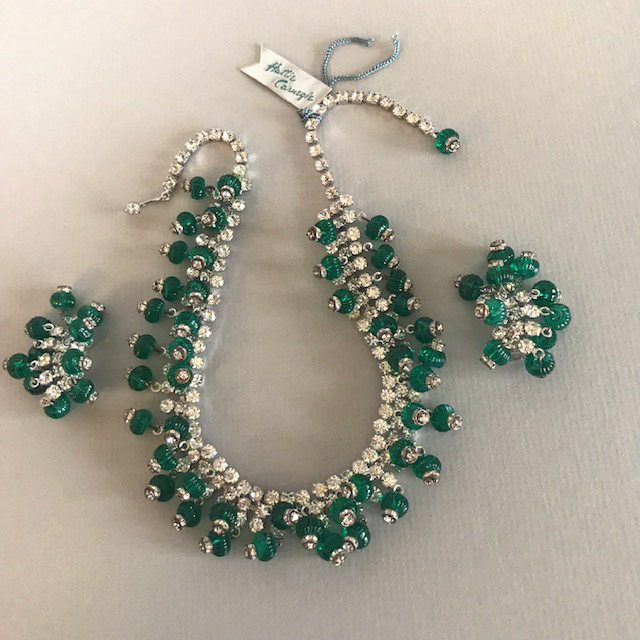 HATTIE CARNEGIE green glass melon shaped beads and clear rhinestones necklace and clip back earrings, brilliant set. 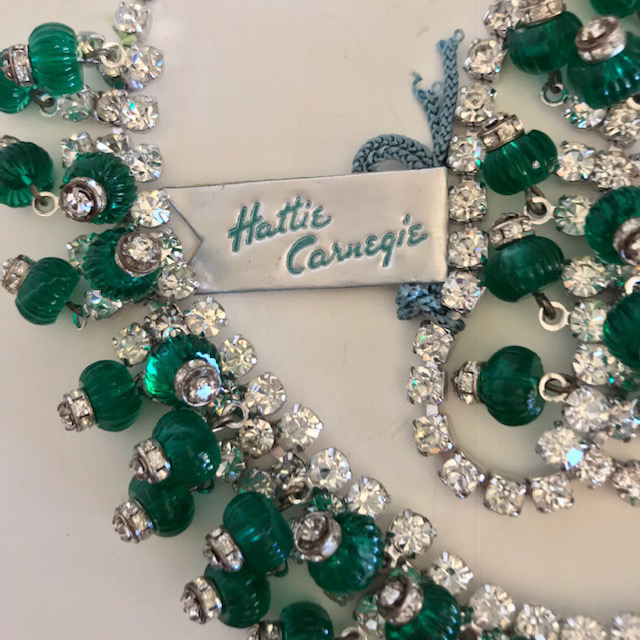 The necklace is marked both on the back and on a foil hang tag, and the earrings are marked "Carnegie" on the clip backs of both earrings. 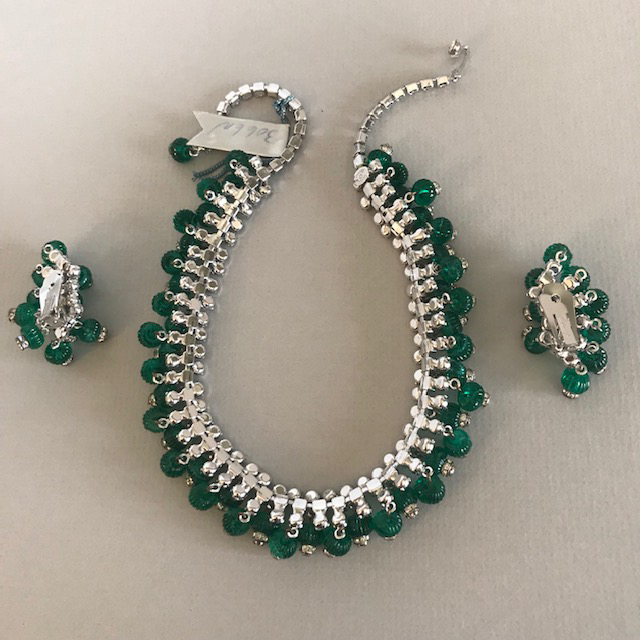 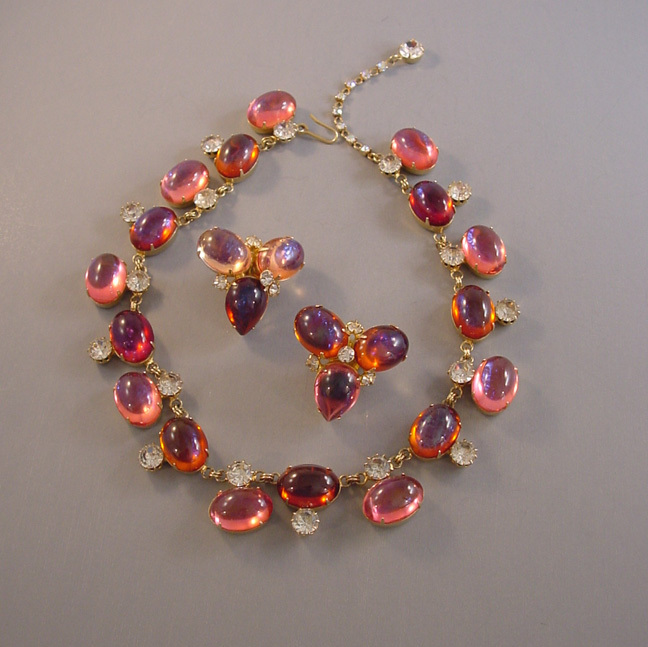 This dazzling set is in excellent condition, as though never worn. 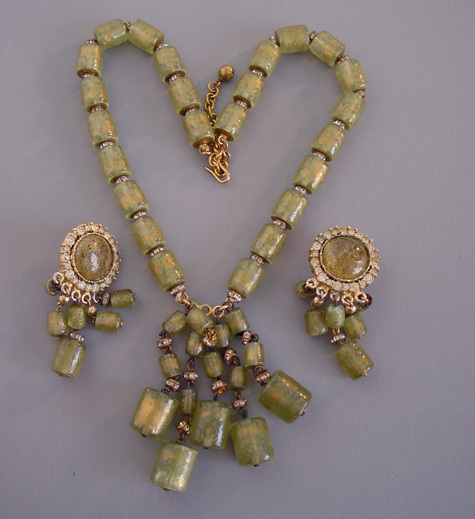 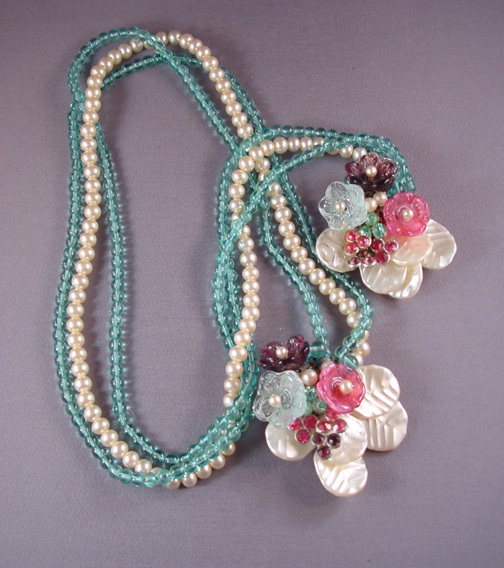 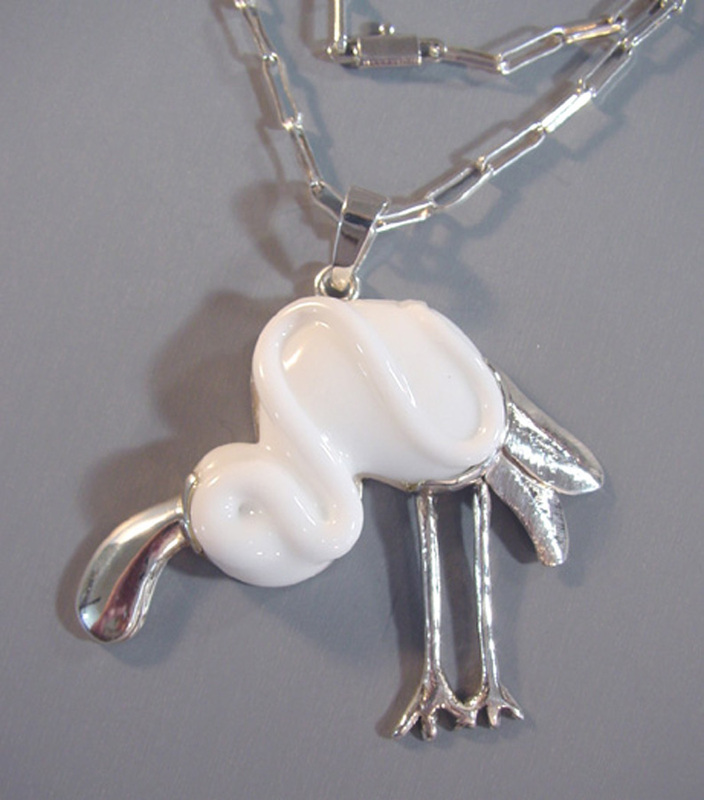 The necklace is versatile 14-16" wearable size and the earrings 1-3/4".